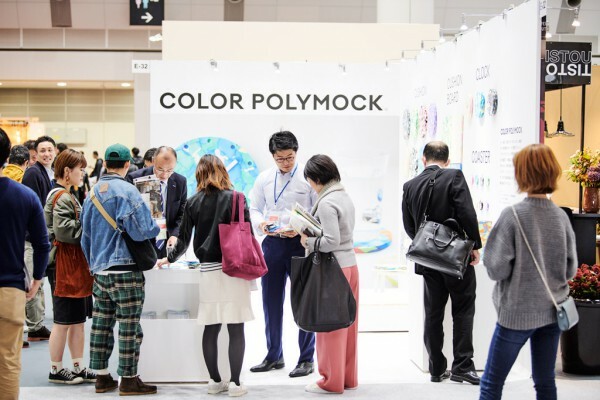 We designed the following exhibition space with the aim of revealing "COLOR POLYMOCK" at the interiorlifestyle living exhibition held at Tokyo Big Sight. 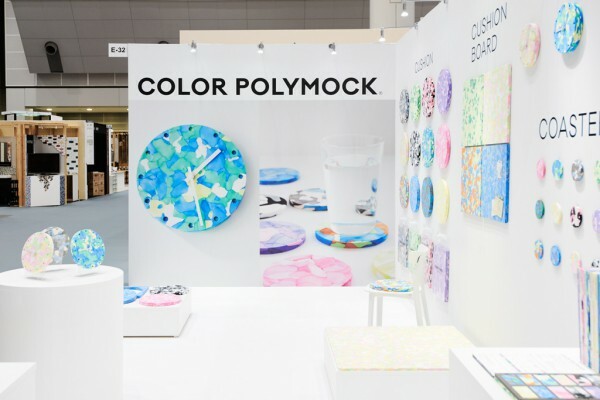 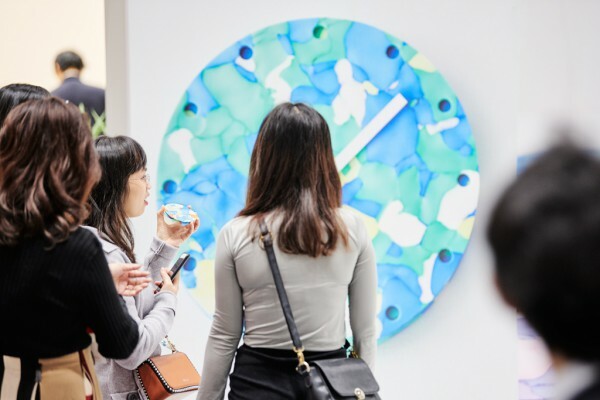 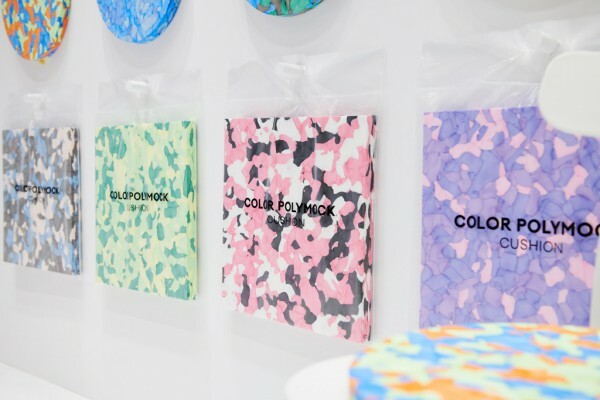 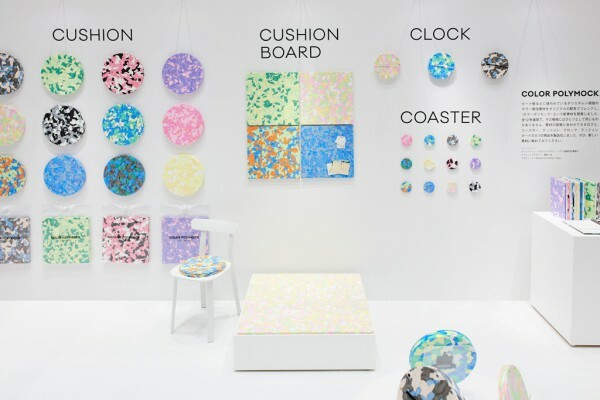 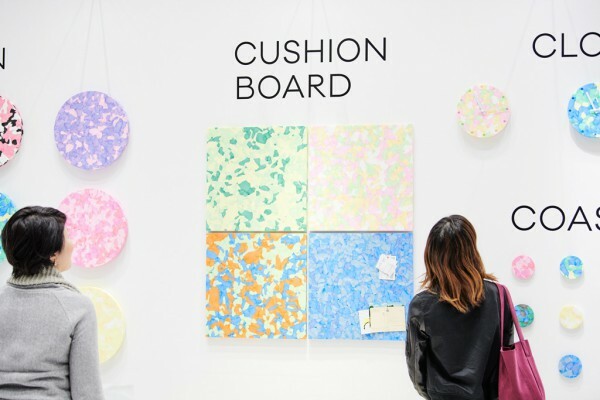 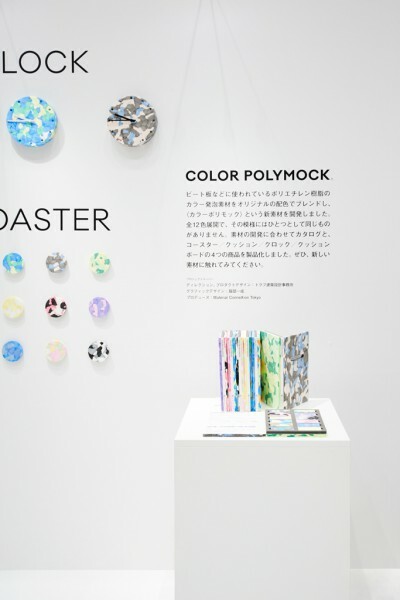 To do so, we developed a new material, “COLOR POLYMOCK”, that blends an original color scheme with polyethylene resin colored foam material which is used for things like kickboards, and we envisioned a place that would bring out the charm of products using this material. 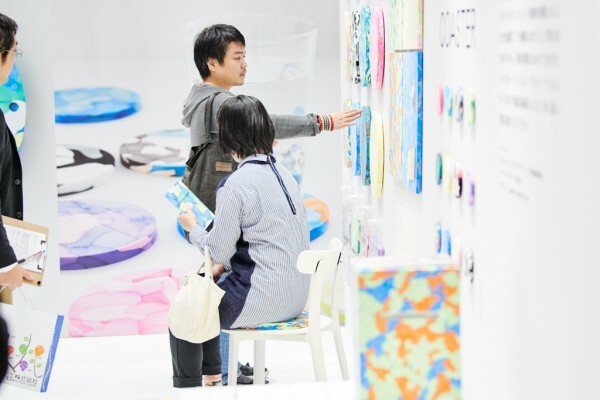 The booths were different this year compared to normal years. 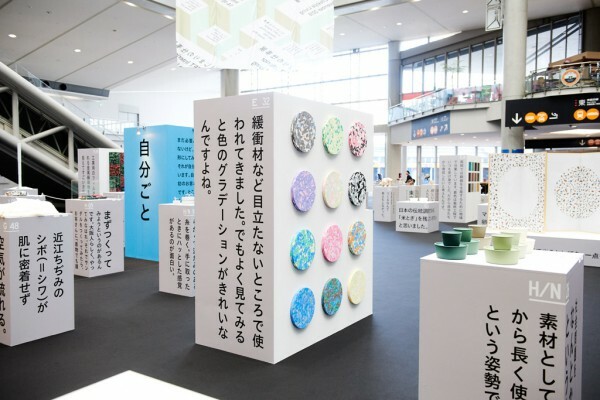 A system named “Hajimari no shigoto-ten” (“Groundwork Exhibition”) was established in which Director Kenta Nakamura conducted interviews with each exhibitor and displayed on fixtures the story contained within their exhibitions, leading visitors to each booth within the hall. 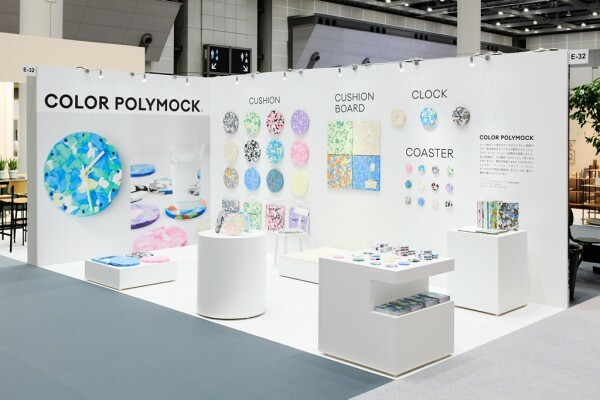 At our booth, the wall surface encompassed our entire product lineup while displaying our products as a large visual against a basic white background that highlights the versatility of the material. 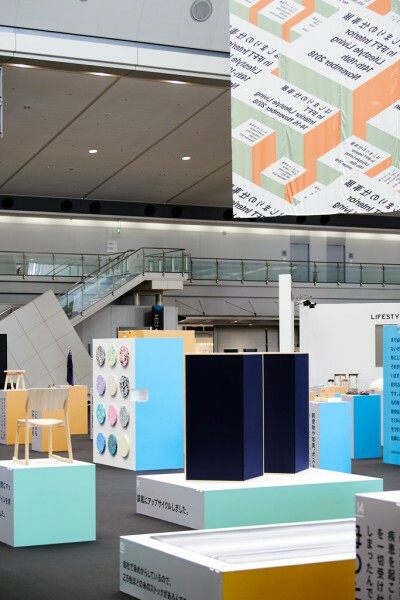 We also displayed our products at the special exhibition program booth “architects meet makers”, where we were able to introduce them from many different perspectives rather than just one spot. 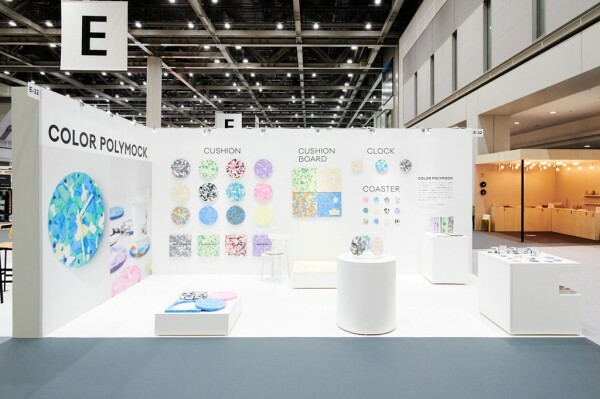 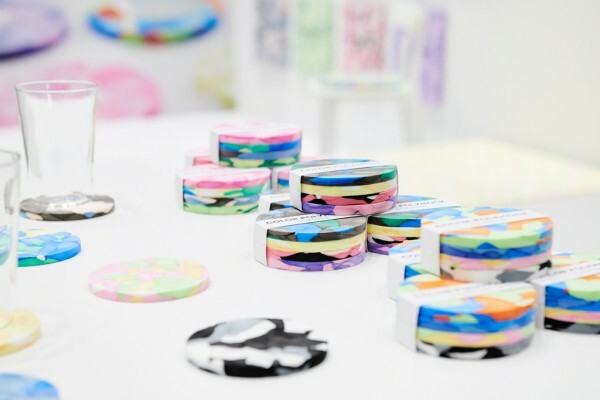 We displayed each product on a different fixture, and made the exhibition an experience-based one where one could actually pick up and feel the products and materials.